To commemorate the anniversary of Rosa Luxemburg’s murder in 1919, we republish the following introduction to a 2014 Mexican edition of her important work, Reform or Revolution. The legacy of this martyr for proletarian revolution endures through her ideas. Rosa Luxemburg was one of the most important figures in the history of the international workers’ movement. Together with Lenin and Trotsky she was the outstanding representative of Marxism in the 20th century. Reform or Revolution was one of the most important of her early writings. Written in 1899, it provides a devastating demolition of the theoretical and practical basis of reformism. It was completely valid at the time when it was written and it remains completely valid today. It seems astonishing that she was only 28-years-old when she wrote it. 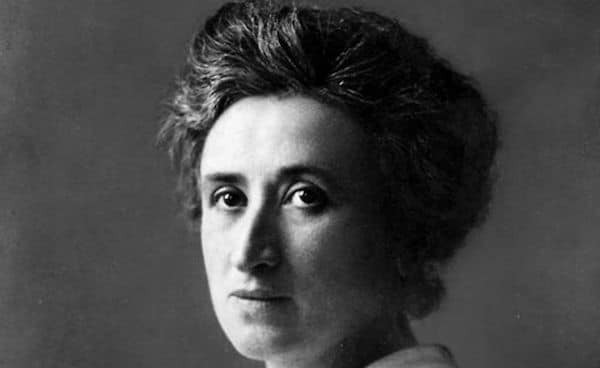 And it placed herself amongst the foremost leaders of the left of Social Democracy internationally, a role she was to occupy until her assassination in 1919. It remains today one of the classic texts of Marxism. In order to understand the significance of this work it is necessary to explain the evolution of the German Social Democracy (as the socialist movement was known internationally before 1914). The German Social Democratic Party was by far the largest and most influential party of the Second (Socialist) International. It was regarded as the model party of the International. It had emerged successfully from the repressive period of the 1880s (the period of the Anti-Socialist Laws) and by 1898 become the most popular party in Germany. Furthermore, thanks to its historic links to Marx and Engels, the SPD, was considered to be the most authentic representative of “orthodox” Marxism in the International. Its leaders enjoyed enormous authority in the eyes of Socialists everywhere. The course of development of the German Social Democratic Party therefore exercised an enormous influence on the development of the whole of the Second International and Social Democrats from around the world paid close attention to the development of the Party and the discussions inside it. This included the Russian Social Democrats who looked up to the German Party. On paper, everything seemed to be in order. In the Party press and in speeches on the First of May, the German leaders spoke in solemn terms about socialism, the class struggle and internationalism. 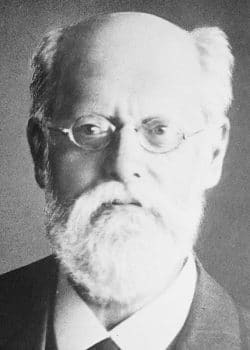 And if they strayed from the line of revolutionary socialism and internationalism, Karl Kautsky, the leader of the “official” Left of the German SPD, was sure to correct them. Until 1914 Lenin considered himself an orthodox “Kautskyite”. Only in 1914 did Lenin understand the real role of Kautsky as a “left” cover for the right wing reformist bureaucracy of the SPD. However, behind this impressive facade not all was what it seemed. From the very beginning Marx and Engels made a series of sharp criticisms of the opportunist tendencies of the leaders of the German Social Democracy, their ideological weakness, their tendency to sacrifice principles for short-term “practical” gains and their tendency to compromise. The Critique of the Gotha Programme is the most well-known example of the critical attitude of the founders of scientific socialism but in the correspondence of Marx and Engels we find far sharper criticisms. In Germany the rapid industrialisation in the second half of the 19th century had created a militant, fresh working class, unburdened by traditions of anarchism or English trade unionism. The economic crisis of the 1870s gave a huge boost to the Social Democratic Party. Bismarck tried to block its advance through the Anti-Socialist Laws in 1878, which banned the Party. But the Party thrived in semi-legal existence. After the anti-socialist laws expired in January 1890 (and Bismarck was forced to resign), it won 20% of the popular vote in the February elections. However, the period of illegality and semi-illegality did not pass without leaving some negative traces. A section of the leadership, especially the intellectuals and academics whom Engels contemptuously branded as the “Katheder Sozialisten” (armchair socialists) used the restrictions caused by the laws to water down the Party’s socialist programme and hide its goals on the grounds of expediency. From London, the elderly Engels castigated these opportunists ceaselessly and put pressure on Bebel and Kautsky to keep the Party on the right road. Lenin’s previous illusions in Kautsky can be explained by the fact that for most of the time he was following the German Party from a distance. The reason why Rosa was able to see through Kautsky and the other SPD leaders (including the “Lefts”) was that she had had direct experience of their activities for a long time and could see more clearly than Lenin what their “Marxism” amounted to in practice. The tragedy of the Socialist International was that it was formed at a period when capitalism in Europe was in the course of a colossal upswing. The economic expansion of this period which preceded the First World War is ultimately the explanation of the national-reformist degeneration of the SPD and the entire Second International. It brought with it an amelioration of the lot of a section of the masses in Germany, Britain France and Belgium, including concessions and reforms, and the consequent softening of relations between the classes. It conditioned the psychology of the leading layer of the parties of the Social Democracy and gave rise to the illusion that capitalism was well on the way to solving its fundamental contradictions. It was the social and economic premise for the rise of Bernsteinite revisionism. The rapid growth in power and influence of the workers’ parties and trade unions also spawned a new caste of union officials, parliamentarians, town councillors and party bureaucrats who, in their living conditions and outlook, became progressively removed from the people they were supposed to represent. This stratum, reasonably well-off and lulled by the apparent success of capitalism, provided the social base for revisionism, a petty bourgeois reaction against the storm and stress of the class struggle, a yearning for the creature comforts and the desire for a peaceful and harmonious transition to socialism—in the dim and distant future. 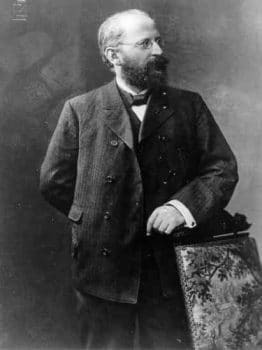 The German Social Democratic Party emerged out of illegality with some 100-150,000 members and it grew steadily throughout the 1890s both in membership and votes. The rapid growth of the Party also brought new problems in the form of increasing pressures from bourgeois society. Although on a national level, they were effectively excluded from all government involvement, on a state level, particularly in the South, the Party was invited to support the liberals in government. This was a deliberate attempt to get the SPD to take responsibility for the running of capitalist society, to incorporate the party into the regime after repression had failed. By 1905 the SPD had 385,000 members and 27% of the vote. The Party press had a massive readership, with 90 papers and magazines with a circulation of 1.4 million in 1913. The Party and its press had around 3,500 full-timers, to which must be added more than 3,000 trade union officials. All organizations have a conservative side. That is particularly true of the apparatus. The soul of the apparatus is routine: organizing meetings, collecting funds, selling papers, administrating finances, bookkeeping and a thousand and one small tasks that are absolutely necessary, but which can lead to habits of routine. The same is true of trade union work. This consists to a great extent of a series of mundane tasks. The growth of the labour movement in Germany, France, Britain and Belgium inevitably gave rise to powerful bureaucratic apparatuses that through their top layer reflected the pressures of capitalism. The opportunist tendencies of the labour leaders increased continuously in the years before 1914. The reformist bureaucracy in the SPD and trade unions was not interested in theory but only in “practical politics”. The Party leaders fell under the influence of the idea of gradualism, the idea that slowly, gradually, peacefully, capitalism could be reformed without the painful need for socialist revolution: today would be better than yesterday, tomorrow would be better than today, until finally one day we would wake up in the morning to find ourselves living in the socialist paradise. This comforting illusion, so soothing to the nervous system, was finally blown sky-high by the First World War. Revisionism first emerged as a trend to “criticise” the ideas of Marx and Engels, or rather to “bring them up to date”. Eduard Bernstein was to become the theoretician of the revisionist tendency, which bears a striking similarity to the so-called “Socialism of the 21st Century” peddled by Heinz Dietrich and others nowadays. These people always claim to have something completely new and original to say, but never do. The advocates of “21st Century Socialism” say nothing that we do not find expressed far better by Bernstein and the Utopian Socialists. Marx explained that social being determines consciousness. It is not an accident that the revisionist tendency in Germany grew stronger in the midst of the 1890s boom. During the crisis of 1873-1882 the economy had grown by a mere 3% over the course of a decade. The period 1887 to 1896, in comparison had a growth of 36%. The boom was sowing illusions in Capitalism. A series of minor reforms and concessions on the industrial front also gave the impression that through a gradual strengthening of the working class organisations, a gradual improvement of the conditions of the working class could be achieved. Bernstein launched his assault against “orthodoxy” in a series of articles published in the theoretical journal of the Party, Die Neue Zeit between 1896 and 1897. Although these articles caused indignation among the Party’s Left wing, there was no serious reply and Kautsky the “Left”, who edited Neue Zeit, even thanked Bernstein for his “contribution” to the debate. As a result, the right wing was emboldened and a revisionist tendency was organised around the journal Sozialistische Monatshefte(first issued in January 1897). Like all revisionists in history, Bernstein started his attempt to “bring Marxism up to date”, to “liberate” Marxism from Hegel (that is, from dialectics). But it is impossible to attack one aspect of Marxism without attacking or distorting all the others. In the end, Bernstein rejected all the main pillars of Marxism, not just dialectics but the labour theory of value, the theory of crisis, socialist revolution, etc. His aim was to prove that the contradictions between the classes were decreasing as the middle class was growing and that the growth of capitalism had no limits: the crises of capitalism might reoccur but wouldn’t necessarily get worse. Among other things, Bernstein argued that the concentration of industrial production was taking place at a much slower pace than had been foreseen by Marx; the great number of small businesses showed the vitality of private enterprise (“small is beautiful”, as they say nowadays! ); instead of polarisation between workers and capitalists, the presence of numerous intermediate strata means that society is much more complex (“the new middle classes”); in place of “the anarchy of production”, capitalism was capable of being controlled to the extent that crises were less frequent and less severe (Keynesianism and “managed capitalism”); and the working class, apart from being a minority of society was only interested in the immediate improvement of its material conditions of existence. If the opportunist currents in the practical activity of our Party are an entirely natural phenomenon which can be explained in the light of the special conditions of our activity and its development, Bernstein’s theory is no less natural an attempt to group these currents into a general theoretic expression, an attempt to elaborate its own theoretic conditions and the break with scientific socialism. The response of the Party leadership to the attack was timid, cowardly and evasive. Although they may not have necessarily agreed with Bernstein, they were reluctant to get involved in a battle over theory, which, if the truth is to be told, they regarded as a useless irrelevance, like the fairy on the Christmas tree. They would have preferred the whole issue to go away. Karl Kautsky said nothing for a long time. In fact he was the one that published the articles in the first place. August Bebel, the leader of the Party, was similarly discreet. A pile of replies appeared on Kautsky’s desk but he refused to publish them, claiming it was all a “misunderstanding”. This was also the line taken by Vorwärts, the main Party paper. But both Franz Mehring and Parvus wrote strongly critical articles against Bernstein in the papers they controlled. Internationally, Plekhanov wrote an article entitled “Why should we thank him?”, which not only subjected Bernstein to a very sharp criticism but also attacked Kautsky for not refuting him. At the Party congress, things came to a head, in spite of the attempt by Party officials to keep it off the agenda. 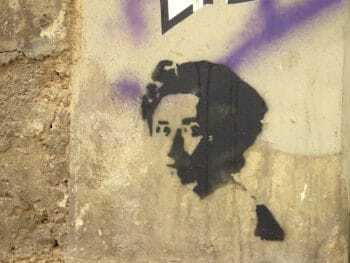 There was an open clash between revisionists and left-wingers in which Rosa Luxemburg played a prominent role. In the session that was dedicated to the Party press, Klara Zetkin attacked Kautsky and Vorwärts for their silence on Bernstein. 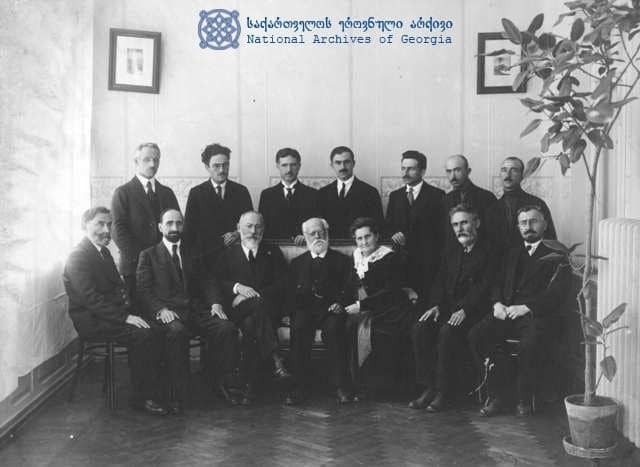 The intensification of the conflict forced the Centre, occupied by Bebel and Kautsky, to intervene. Bebel proclaimed that “it is utterly false tactics to rob the Party of its enthusiasm and of its willingness to make sacrifices by pushing its goals into the indefinite future”. But even in answering Bernstein, Bebel revealed his philistinism and theoretical weakness. In reality, he was objecting to Bernstein, not so much for being wrong in what he said, but for saying things that he felt could undermine the morale of the Party. Ignaz Auer, in private, rebuked Bernstein by advising him that “one does not say such things; one simply does them”. This remark admirably sums up the narrow philistinism and lack of principle of the SPD leaders. They objected to Bernstein, not because of what he said or wrote, but because the debate posed a threat to Party unity. “Why cause all this bother? There is no need to provide a theoretical justification for our opportunism. There is no need even to talk about it. Just do it!” And that was exactly what the leaders of the SPD were doing. What appears to characterise this practice above all? A certain hostility to ‘theory’. This is quite natural, for our ‘theory’, that is, the principles of scientific socialism, impose clearly marked limitations to practical activity. Without revolutionary theory there can be no revolutionary movement. This idea cannot be insisted upon too strongly at a time when the fashionable preaching of opportunism goes hand in hand with an infatuation for the narrowest forms of practical activity. It is, therefore, in the interest of the proletarian mass of the Party to become acquainted, actively and in detail, with the present theoretic knowledge remains the privilege of a handful of ‘academicians’ in the Party, the latter will face the danger of going astray. Only when the great mass of workers take the keen and dependable weapons of scientific socialism in their own hands, will all the petty-bourgeois inclinations, all the opportunistic currents, come to naught. In Reform or revolution Rosa Luxemburg provided a comprehensive political response to Bernstein. Unlike other critics of Bernstein’s, Luxemburg was not merely aiming to defend the status quo. In attacking Bernstein’s reformism she was implicitly challenging the existing reformist practice of the SPD leaders. She was to work tirelessly right up to her murder, to defend revolutionary Marxism and to educate the rank-and-file in revolutionary theory. Everything that a party could offer of courage, revolutionary farsightedness, and consistency in a historic hour, Lenin, Trotsky, and the other comrades have given in good measure. All the revolutionary honour and capacity which the Social Democracy of the West lacked were represented by the Bolsheviks. Their October uprising was not only the actual salvation of the Russian Revolution; it was also the salvation of the honour of international socialism.